> Why are some attorneys better negotiators than others? Why are some attorneys better negotiators than others? We asked attorneys and other legal specialist who work closely with attorneys why are some attorneys better negotiators than others. There are a variety of reasons why some attorneys are better negotiators than others. Some reasons are obvious while others will most likely stir some debate. We hope you enjoy their responses. Because they've been trained in mediation practices like I have been extensively at Harvard under the great Frank Sanders - the originator of the practice. Some of the best attorneys that I've seen at negotiating all have a couple things in common. (1) they do not start negotiating a reasonable place, they start at what many would consider unreasonably high or low years/dollars and work from there. (2) they do have reasonable expectations and understand that they are not going to get everything they want in the negotiation so they pick a couple of very important things and use the remainder of the items as bargaining chips/negotiating tools. "Criminal Defense, Legal Investigation and Litigation Specialists"
Inside the courtroom, it's about confidence and body language. Direct, unflinching eye contact, tailored suits, open palms, firm and direct presentation without being a bully, is what matters to a jury. Outside the courtroom, it is all about the research and complete preparedness. The answer is easy!. The true negotiates are trained in Mediation. One the most important things in negotiations is the willingness to say 'no' and walk away if necessary, while still leaving the door open to future discussions. Some lawyers become so fearful of losing a deal that they accept whatever sounds tempting. I often work for attorney's as an expert in injury biomechanics. I can tell you why some attorney's are better negotiators because they negotiate with me all the time as to what they want me to say, how much I cost, and the testing I perform to bolster my opinions. It would make for an interesting persecutive. I'm an attorney who negotiates complex multi-national deals as well as litigation settlements. I find that my approach to negotiation yields the best results for my clients. First, I listen. Next, often times what is most important is what's not being said so I ferret out the underlying issues. This takes a lot of time, patience, and willingness to set aside judgments. I also know all aspects of the deal I'm trying to put together to include the real risks. I also don't 'play games' for the sake of being obstinate. I did that being genuine and friendly is always the best approach as well. Being able to articulate a position and persuade the other side of its merit is key. I've run into lawyers that don't know the deal, don't understand the underlying business and believe their job is to say no versus help clients get the result they want. Would welcome an opportunity to chat more about this. I have more than 15 years experience as both an attorney and professor. One of the courses that I teach is Negotiation. I find it interesting that most people think that some people are naturally better negotiators. It is my observation that negotiation is a skill, not a natural talent or gift. I believe that some people - including attorneys -are better negotiators than others because they are more intentional in learning to negotiate and preparing for each negotiation. The better negotiators realize that most clients don't hire lawyers because they want the best trial; rather, they want the best solution to whatever problem they're facing. Using that premise as a springboard, the effective negotiator knows better than to bully or issue ultimatums to the adversary. Instead, if mediation is to be a problem-solving exercise, the effective negotiator will ask the open-ended question of, 'How?' Certainly, anyone asking that question must also be prepared to answer it with suggestions of how to settle the dispute. As a corollary, when one lawyer faces resistance from the other side, the question to the other side should be, 'Why?' or, 'Why not?' It is far easier (and perhaps cathartic) to say, 'We'll see you in court,' but truly effective negotiators realize that their job is best done at the bargaining table rather than the courtroom. The most effective negotiators work very hard to understand the other side's underlying motivations and simultaneously work just as hard to establish realistic expectations on the part of their clients. Accomplishing both objectives permits the negotiator to achieve the best possible result for his client, which is often concluding a favorable deal but is occasionally advising his client when to walk away from discussions. Some attorneys are better negotiators than others because some attorneys have the capacity to act as both advocate and facilitator at the same time. 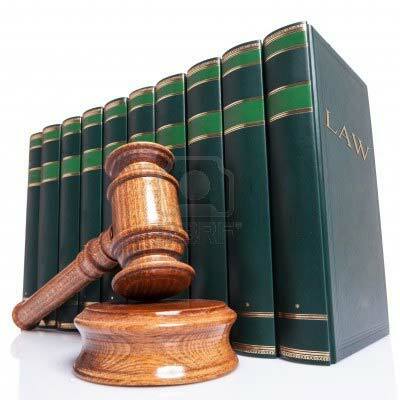 In their advocate role they recognize the strengths and weaknesses of their client's and the other party's positions. As a facilitator they are able to objectively review this information and use it reach as successful a result as possible for their client. The proper balance between these two roles makes an attorney an extremely effective negotiator. The attorneys who are better negotiators have three common threads. And third - they leave their EGOS at the door! Negotiating is not something that comes naturally to most attorneys. Books and courses that teach negotiation strategies are helpful, but unless you are also practicing those skills, you are unlikely to become a great negotiator. The best negotiators I have seen are usually well-prepared, confident, and most of all, have a lot of experience in negotiating. As a Career Management Coach with over 20 years' experience, I know that not all attorneys specialize in negotiation or litigation or contracts. Some attorneys write briefs, conduct research, investigate, etc. We wouldn't seek out a Orthopedic Specialist if we were experiencing a heart attack. I have now mediated more 1,000 cases. In them I have seen the best and worst of negotiators. I offer the following ten bullet points. Much more could be said about any one of them. Many more characteristics could be enumerated. Good negotiators realize that negotiations begin even before they are assigned a case. They jealously cultivate and guard a reputation for candor, fairness, truthfulness, professionalism and a willingness to consider the opposition's points of view. When they finally get to a mediation or negotiation session, their negotiation counterpart respects him/her and enters negotiations with an expectation that a deal can be consummated. They also realize that they are negotiating the minute they enter a case. They avoid brutalizing their opponent and they foster collegiality. Too many negotiations fail because the parties have abused each other during the case. They therefore enter negotiations with animosity, negative expectations, and intransigent positions. They actively listen. Information is power in negotiation. Listening enables the negotiator to understand the strengths and weaknesses of the other party. Active listening also makes the other party believe that their position is being heard and seriously considered. They are careful to avoid language that couches the negotiations as a 'war.' They avoid letting the other party see negotiations as a contest. They avoid war metaphors. They approach negotiation as a problem solving enterprise. They enter negotiations with a clear idea of where they are going -- even if they have to adjust their goals as negotiations progress. They know how to step back and view the negotiations from a bird's eye view. They avoid creating unrealistic expectations in their clients. This promotes client control. From day one they educate their clients re the relative strengths and weaknesses of their case. They have identified their client's BATNA, (best alternative to a negotiated agreement). Don't present offers and counteroffers that end in 0's. Studies show that settlement offers that end in something besides a 0 causes the other side to believe that they are based in more sound reasoning. Play the game and resist the temptation to go straight to your bottom line. Present offers with deadlines and update them if they expire. Don't negotiate against yourself. If the other side fails to present a counteroffer, then your number doesn't move. Use mediator's proposals to your advantage. Understand your target audience - give them what they need to get the money. Understand their time frame - asking for more money takes more time. Make sure there is a penalty for those who won't negotiate. Be prepared and do your homework - be able to support the amount you are asking for. Relationships matter - tuff negotiating on one case may bite you on the next one. I've been an attorney in Chicago since 1978, and saw your inquiry. I would say that there are several factors that make some attorneys more skilled at negotiation than others. First, of course, is experience. You do something 50 or 100 times, and you'll be better at it than the first time. Second is what can be called research. Knowing as much about your adversary (the client, primarily) allows you to figure out what they can afford to spend, or how little they are willing to accept, depending on which side of the table they're on. Third, you have to have the intestinal fortitude to demand more (or offer less) than you think will close the deal, knowing that you have room to move. But at the same time, you have to know how to avoid insulting your adversary by making ridiculously high demands/low offers. Fifth, sometimes you have to be a little creative. For example, say that your adversary wants $500,000. Your client and you suspect that they'd take $400,000. You've offered $350,000, and it's been rejected. So you go to $380,000, but payable at $38,000 per year over 10 years. Or you offer something besides money--an opportunity, a piece of land that the adversary wants, or whatever--to sweeten the deal for them, without costing your client as much as cash would. And last, but by no means least, sometimes you're just lucky. I appreciate LawCrossing's way of working. It is very impressive and is just the perfect site to search for a job. LawCrossing Fact #159: Upload your resume to our exclusive site and have it reviewed by interested employers!